Hoard was released some time ago for PSN, and it was, quite understandably, loved by one and all. The game is not out for the PC, but the question is, is it as fun and as addictive as the original version was? In plain and simple words, yes it is. The same fun and crazy gameplay from the PSN version of the game has returned, but unfortunately, it has brought some glitches and bugs along with it that might detract from the experience. 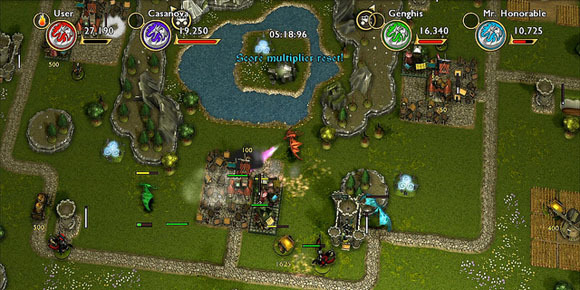 Hoard sees the player taking the role of a dragon. The main purpose of a match in Hoard is to amass as huge a pile of treasure in your hold or castle or whatever it is, and beat your opponents. A match in Hoard is generally 10 minutes long, and the dragon with the most treasure at the end of that game wins. The main fun comes from the multiplayer modes, where you will be competing against other players who have taken up the roles of dragons. You can extort people to send their treasures to you, or burn villages to the ground and take the loot. Or you can intervene in your competition’s missions and steal his/her treasure or stop him from taking it with him. Regardless of whichever way you take, Hoard turns out to be a very enjoyable game, with, surprisingly, quiet a lot of strategy thrown in. Every piece of gold you bring back to your hold will give you experience points that you can spend to make your dragon faster, stronger and the like. 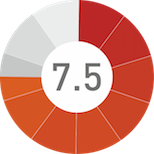 However, stats and experience points from one game of Hoard don’t carry over to the next. There is no campaign in the game, and nothing from one session carries over to the next. 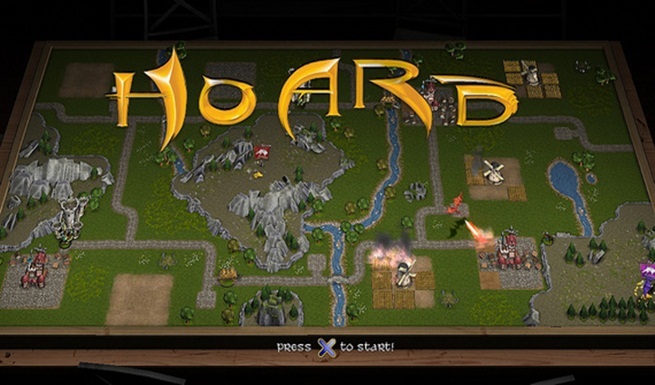 Hoard is a game that is meant to be enjoyed in short bursts. Currently, though, you won’t find many people playing Hoard for the PC. So usually, you will either just be waiting for someone to come online so that you can join a game, or you will be playing the much less interesting single player mode, which has you doing the same things as the multiplayer mode, but is less fun due to the lack of the competitiveness. Your statistics can go up on the leaderboard however, so that you can compare yourself with other dragons across the world. However, the leaderboards of the PC version are glitched, at the moment, since most of the times they just don’t show up. The graphics, while pleasing to look at sometimes, are still mostly drab and dull, and they just add to the limited experience and the restricting feel of the game. Ultimately, just how good is Hoard? It’s pretty good. You will find yourself coming back to play matches, and hopefully, maybe in a couple of weeks, there will be enough people playing Hoard for you to enjoy the multiplayer, and hopefully, the glitches and the bugs will be fixed as well. However, if you do have access to the PSN version, there is no reason for you to go with this one. If you don’t have access to the PSN version, there is still no reason for you to get this one. Just get the PSN version for a reasonably fair price, and enjoy the better version. HOARD is a fun game, but unfortunately, the PC version has a lot of bugs that might take away from the experience.